Here is a 1950’s demure 14k. 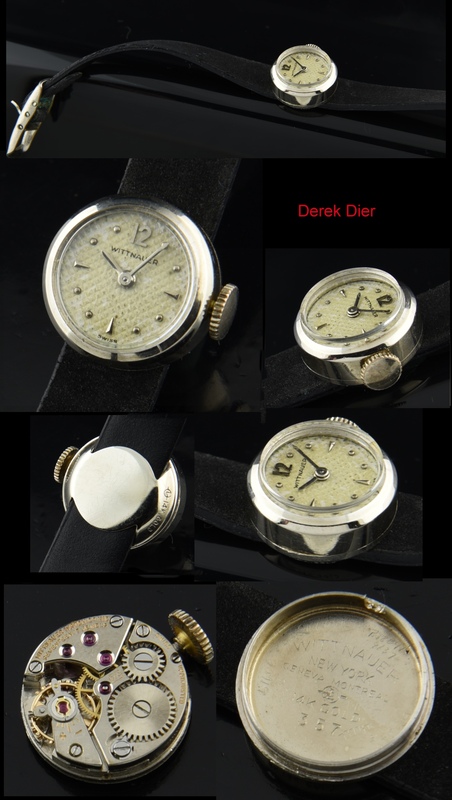 solid white gold ladies cocktail watch measuring 15.5mm. The honeycomb dial with arrow and dot markers has taken on a fine patina. 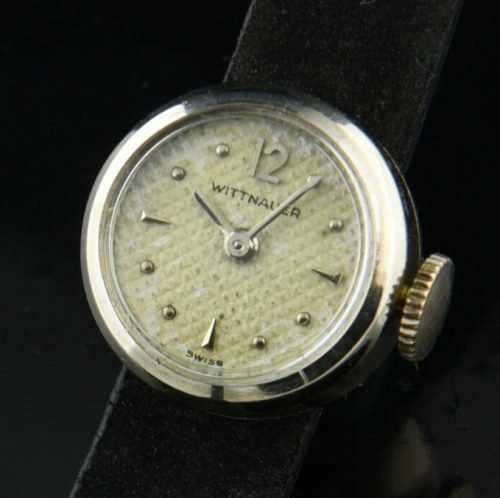 The manual winding WITTNAUER movement was just cleaned and is accurate. This watch exudes that simple and classic 50’s style.